This past weekend was the start to the Championship Series and a pivotal point on the road to the Kentucky Derby. Contenders are starting to emerge and slowly revealing themselves, as each prep win is now worth a whopping 50 points. Most 3-year olds at this time are stretching out from 1 to 2 turns for the first time, as well as facing much larger fields. Post position and traffic problems can affect an inexperienced horse, but each race is a stepping-stone to learning, growing and gaining the experience that is needed to make it to the first Saturday in May . The Risen Star Stakes and the Fountain of Youth started off the series with both winners exemplifying a “fighting spirit” to the very end! Re-watching both races will leave you on the edge of your seat with spine-chilling finishes that will leave you wanting more. It’s just the start to new beginnings as we experience these young colts develop into pure competitors, and amazing athletes. There has been a lot of buzz about the new Derby Point System. A point system I am not crazy about. I feel there needs to be some tweaking in the adjustment of how this point system chooses who is qualified for the top 20 spots in the Kentucky Derby. In the past, the field was based on earnings rather than points earned in specific races. Fillies that had enough earnings had an opportunity to run for the roses if their connections felt they were fit and ready. However, with the new points system, the only opportunity for a filly to earn points toward the Kentucky Derby is to run against the colts in major prep races. Plans most trainers and owners do not consider early on in the season. As Bloodstock Agent John Moynihan states: “With the timing of (the Derby), you don’t really consider it until the last minute. You want to see how the cards fall; there are so many different scenarios that come into play. You’ve got to look at the quality of the colts out there and how well they’re doing and also the quality of the Oaks. (Courtesy of Bloodhorse article: Oaks Owners Weigh In on Derby Points System). In the past great fillies have faced the boys, and triumphed with success. Out of 38 fillies that ran in the Kentucky Derby, 3 have gone off to win: Regret (1915), Genuine Risk (1980) and Winning Colors (1988). There are a lot of pros and cons to consider for every horse entered into the Derby, but having a filly in the race does add excitement for racing fans. The handle gets a piece, the filly and its connections get exposure, female race fans will get some action on the filly. It’s a win/win situation for everyone. Don’t get me wrong, I’m not saying that every filly is just as good as this year’s crop of 3-year old colts. The message I’d like to convey is there “could be” an exceptional filly out there that will not have the opportunity to “measure her brilliance” by running against the boys. I understand with a new process there is always room for adjustments as the process itself unveils what works, and what could be improved. The final goal is providing the opportunity for the best 20 horses to make it to the gates the first Saturday in May. Who wouldn’t want a talented filly in the most prestigious race in America? In my opinion this current process is passing up on some truly talented fillies. This year’s Kentucky Oaks is full of “Girl Power”, and lots of it. Dreaming of Julia, I’d call her a freak definitely would give these boys a run for their money. Her final time for the Gulfstream Park Oaks (gr.II) on March 30th was 1:48.97. She ran nearly two seconds faster than the boys who ran in the Florida Derby later that same day. The winner- Orb’s final winning time was 1:50.87. I’m a huge fan of Orb, and I think he is a very talented colt. Churchill Down’s should really consider adjusting its’ point system to allow filly’s the opportunity to qualify for the Kentucky Derby. How awful would it be if the great Zenyatta was unable to participate in the Breeder’s Cup Classic? We would have missed that memorable opportunity to have the first female horse to win this competitive race. Rachel Alexandra not only beat the boys in the 2009 Preakness, but that same year she went off to also beat “older boys” in the Haskell and the Woodward. 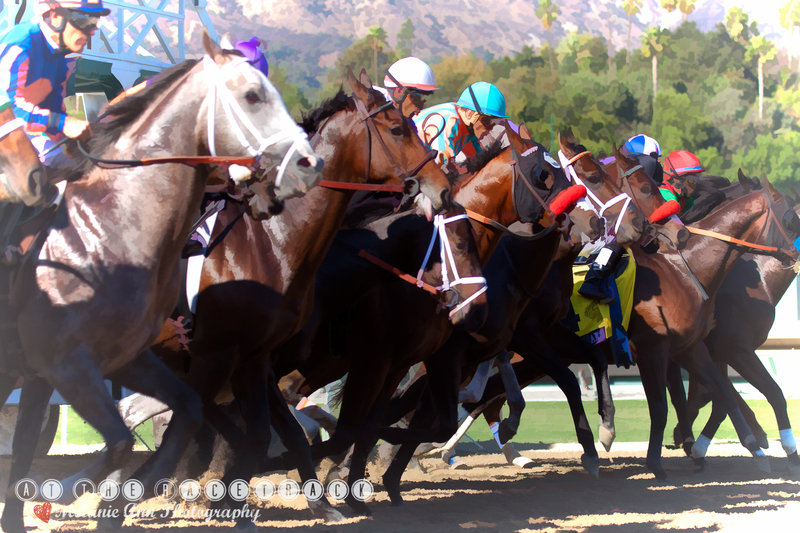 With the right horse, the right connections, and the right timing many talented female horses will be missing out on the chance to become a part of racing history.